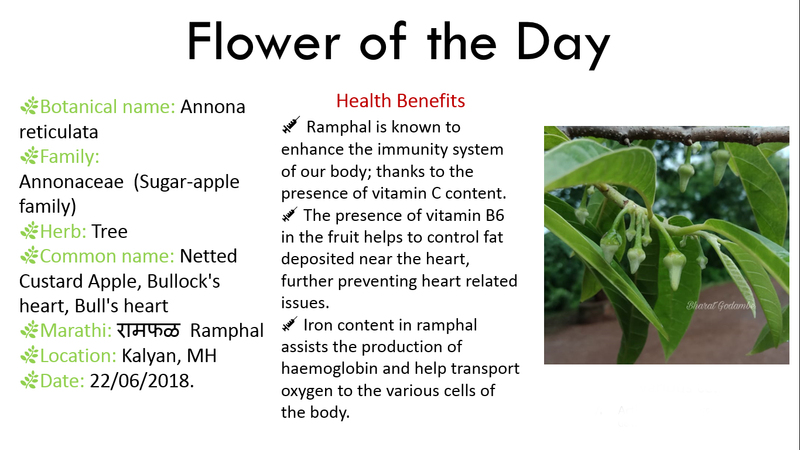 It contains only 46 calories per cup, but is high in vitamin A and vitamin C.
In addition to its sweet, nice, taste and smell, every part of this tree is medically beneficial including the bark, leaves, roots, flowers, pulps and seeds and each of these parts has its separate qualities. The growing stages of jackfruit also differ from each other and provide different therapeutic qualities. All of these facts and more to come are the reasons why jackfruit is very healthy and should be included in everyone’s diet. Jackfruit is infused with a diverse set of vitamins such as vitamin C and A, thiamin, niacin, riboflavin, calcium, potassium (with 303 mg found per 100 g), iron, zinc, sodium and folic acid. Jackfruit is one of the few trees rich in B-complex group vitamins as well as vitamin B6. Jackfruit contains phytonutrient properties such as anti-cancer, anti-hypertensive, anti-ulcer and anti-inflammatories. Jackfruit is a rich source of phytonutrients and phenolics. Jackfruit contains minerals, fiber, protein, and is free of fats and bad cholesterol. Jackfruit is antibacterial and antiviral which is a great support to the immune system. Jackfruit is low in calories .100 g of jackfruit only contains 94 calories. Jackfruit strengthens Immunity — Jackfruit is a great source of Vitamin C and antioxidants, which can strengthen your immune system. A strong immune system can protect the body from many common diseases such as cough, cold and flu. Jackfruit prevents cancer — Jackfruit has antioxidants, phytonutrients and flavonoid that provide protection from cancer. Antioxidants in jackfruit protect the body from free radicals. Free radicals are produced due to oxidative stress in the body. This damages the DNA of your cell and produces cancer cell. But, antioxidants can neutralize these free radicals to protect DNA from free radicals damage. Jackfruit also provides protection against colon, lung and oral cavity cancer. Jackfruit gives instant energy — Jackfruit is loaded with carbohydrate and calorie. This is a rich source of simple sugar like fructose and sucrose that gives instant energy. The fruit contains zero cholesterol that makes it a safe and healthy food. Jackfruit maintains blood pressure — Jackfruit has potassium that maintains the sodium level in the body. Good level of potassium helps to maintain the fluid level to balance electrolyte. Hence, it is useful to reduce high blood pressure, stroke and heart attack. Jackfruit improves digestion — Jackfruit is a rich source of dietary fiber that makes it a bulk laxative. This helps to improve digestion and prevents constipation. Jackfruit improves eyesight — Rich antioxidant content in jackfruit increases eye vision and provides protection against cataract and macular degeneration. Jackfruit also contains vitamin A that is a vital nutrient for eye health. Jackfruit helps in Skin health and ageing — Many natural factors such as increase in age, menopause, and low nutrition cause the body to age. Pollution, UV radiation and smoke also promote ageing process at an early age. Antioxidants present in jackfruit can destroy the free radicals in the body to slow down the ageing process. 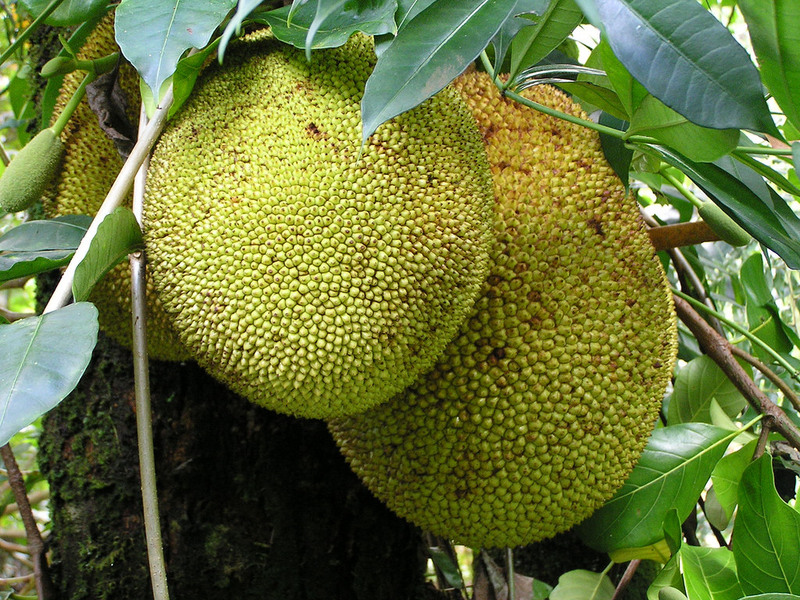 Jackfruit provides relief Asthma patients — Jackfruit provides relief to people suffering from asthma. Asthma is a respiratory disorder affecting a number of people today. Jackfruit promotes Bone health — Jackfruit contains calcium, which strengthens and promotes healthy bone. This can also prevent osteoporosis. Jackfruit also contains good level of potassium, which can decrease the loss of calcium through the kidney and increase bone density. Jackfruit prevents Anemia — Jackfruit comes loaded with Vitamin A, C, E, K, Niacin, Vitamin B6, Folate, Pantothenic acid, Copper, Manganese and Magnesium that are required for blood formation. This also increases your body’s capacity to absorb iron, thus preventing and curing anemia. Jackfruit regulates blood sugar levels — High blood sugar level can be caused due to manganese deficiency in the body. Jackfruit has a rich amount of this nutrient and thus helps regulate blood sugar levels in the body. Jackfruit keeps thyroid healthy — Copper is vital for thyroid metabolism, especially for hormone production and absorption. Jackfruit is filled with this potent micro mineral and keeps your metabolism rate healthy. Jackfruit helps prevent night blindness — Jackfruit can be very good for your eyes. This ‘jack of all fruits’ contain a good amount of vitamin A and can prevent night blindness. Jackfruit lowers risk of heart disease — Jackfruit is very heart-friendly. Vitamin B6 present in the fruit helps to reduce homocystein levels in your blood and keeps your heart hale and hearty! Jackfruit cures ulcers — Jackfruit has strong anti-ulcerative properties that can cure ulcers and many other digestive system disorders. Jackfruit is a weight loss agent — As obesity rates are on the rise, jackfruit can help in weight loss because it’s free of fat and low in calories that enable dieters to safely and comfortably consume it and fully benefit from all its other nutrients. Jackfruit is an insomnia curer — Sleeping disorders can be cured by eating jackfruit, due to its richness with magnesium and iron that assist in improving the overall quality of sleep. Magnesium also helps in preventing anemia which is one of the major causes of insomnia. Jackfruit is diabetes friendly — Although extremely sweet in taste, jackfruits are safely consumed by diabetics because it slowly absorbs sugar into the bloodstream which enables diabetic patients to safely consume it while getting all its health benefits. It also increases glucose tolerance for both types of diabetes. With so many benefits, jackfruit definitely deserves a place of honour in your diet! So, eat jackfruit and enjoy its health benefits! An ancient fruit and arguably the most popular in many parts of the world, mangoes are in the same family of plants as pistachios and cashews, which are also tropical, fruit-bearing trees that can grow up to 100 feet in height. Oval in shape and around five inches long, mangoes are heavy because of the single, large seed or stone in the middle, which makes them a drupe. One cup of mangos has 100 calories. The same amount provides 100% of your daily vitamin C recommendation for promoting healthy immune function and collagen formation, and 35% of your vitamin A, important for vision, bone growth, and maintaining healthy mucous membranes and skin – plus, it’s shown by clinical studies to help protect your body from lung and mouth cancers. The potassium in mangos is an important cell and body fluid component to help control your heart rate and blood pressure. Vitamin B6 (pyridoxine) is required for GABA (an inhibitory neurotransmitter) hormone production within your brain. It also controls homocysteine levels within your blood, which may be harmful to your blood vessels and may cause stroke. Required for the production of red blood cells, copper is a co-factor for many vital enzymes, including cytochrome c oxidase and superoxide dismutase. Mangoes are very low in saturated fat, cholesterol and sodium. They are also an excellent source of dietary fiber and vitamin B6, as well as a good source of vitamin A and vitamin C. They are rich in minerals like potassium, magnesium and copper, and they are one of the best sources of querctin, betacarotene, and astragalin. These powerful antioxidants have the power to neutralize free radicals throughout the body. Mango is good for Heart Diseases — Mangoes contain Beta-carotene, Vitamin E, Potassium and Selenium. All these are effective in making your heart healthy; especially the beta-carotene, which is useful for the cardiac patients. Potassium makes your heart, nerves and muscles to work properly. Mangoes also develop the immune system because vitamin C stimulates White Blood Corpuscles s to work more efficiently thereby destroy the bacteria and germs. Mango reduces the risk of cancer — Mangoes contain polyphenol compounds as well as quercetin, isoquercitrin, astragalin, fisetin, gallic acid and methylgallat, all are useful in reducing the risk for different types of cancer. Mango controls blood pressure — Mangoes having low glycemic index, that maintains the blood sugar level. It balances the fat levels too. The presence of potassium regulates the blood pressure and fluid mechanism in the body. It also solves the problems of diabetes. Mangoes for glowing & shining skin — Mangoes are rich in Vitamin A which makes the skin soft and shining. When the pulp of mango is rubbed over the skin, it makes your complexion fair and maintains the moisture and make the skin glow. Mangoes are good for pregnancy — Mango is useful fruit for pregnant women as it contain good amount of iron that enables to maintain the HB level and proper oxygen flow. It is suggested that problems during menstruation. Mango relaxes the muscles and prevent abortion due to presence of calcium and magnesium. Mangoes for eyesight — The mineral, vitamins and minerals like Vitamin A, C and E are adequately present in Mangoes. It also contains flavonoids, Beta-carotene, alpha-carotene, and beta-cryptoxanthin. All these help to keep your eyes healthy, enhance your vision and prevent from various eye diseases. 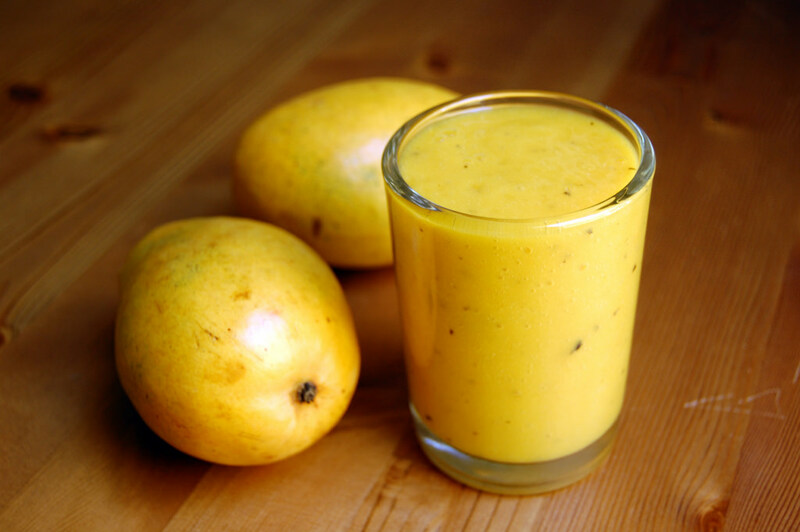 Mangoes aid digestion — Mango is full of digestive enzymes like magneferin, katechol oxidase and lactase and helps to overcome the problems related with digestion. It has enough fibre that eases acidity and constipation. It acts like a cleanser for stomach and intestines. It also strengthens the liver. Mangoes improve immunity — Being rich in vitamin C, mangoes play a major role in strengthening one’s immunity. Apart from vitamin C, mangoes also are a good source of zinc, which is important for maintaining the overall health of the immune system. Mangoes boost bone health — The presence of vitamin A is what makes mangoes one of the good foods for bone health. The vitamin C in mangoes aids the formation of collagen, which has a role to play in the making of bones and connective tissues. Mangoes improve hair health — Mangoes are rich sources of vitamin C, and hence promote collagen production for healthy hair. If you have dull hair and are wondering how to make it shiny, include vitamin A in your diet – it has scalp conditioning properties. Mango is known as the king of fruits throughout the world. Having originated in East India, the Andaman Islands, and Burma, mangoes are popular across the world today. 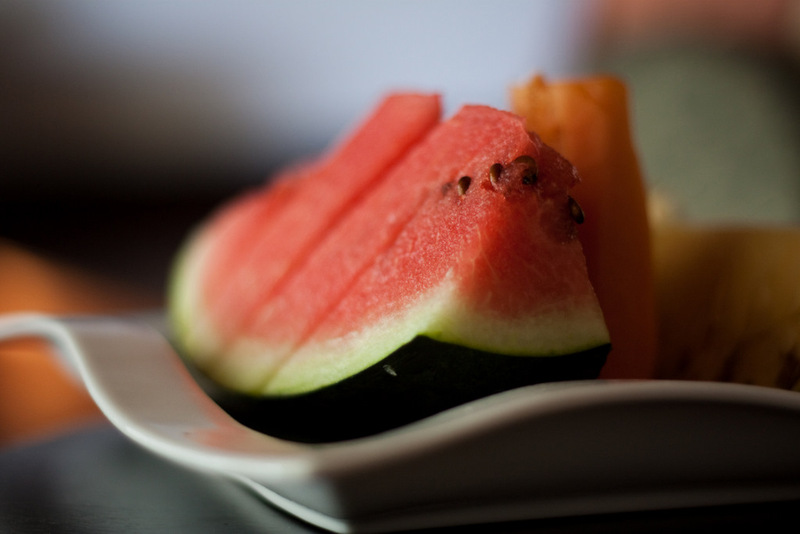 It is believed that way back in the 5th century BC, Buddhist monks introduced the fruit to Malaysia and Eastern Asia. India is the leading producer of mangoes. But it has very little export as most of the produce is consumed within the country. You can tell if a mango is ripe or not by squeezing it. Ripe mangoes give slightly with a gentle squeeze. Mango trees can grow very tall, some as much as 100 feet. And more interestingly, mango trees can bear fruit for up to 300 years. There are about 400 varieties of mangoes in the world today. Allergies — Certain individuals were found to be allergic to mangoes. These allergies include contact dermatitis, food hypersensitivity, etc. Itchiness, which can lead to other severe side effects — Also called the mango latex allergy, this causes extreme irritation at the angles of the mouth, lips, and the tip of the tongue. Severe cases can include vomiting, respiratory difficulties, and even diarrhea. Though the fruits come with certain side effects, they are largely outweighed by the benefits. And what’s best – they are tasty and juicy, and there wouldn’t be a soul who doesn’t love them! 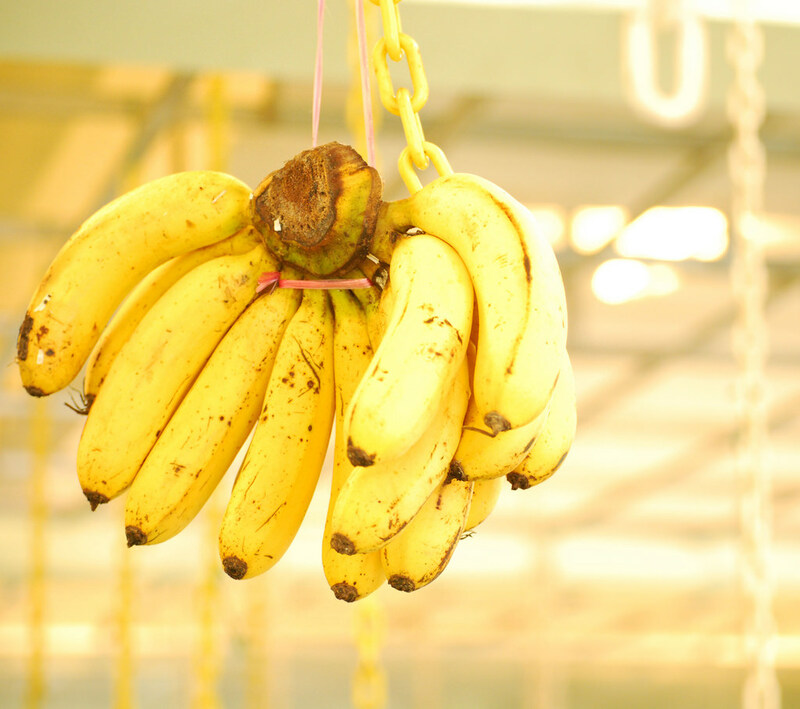 Banana fruit has nutrients that are essential for the skin. They contain significant amounts of vitamin C and B6 which plays vital role in maintaining the integrity and elasticity of the skin.